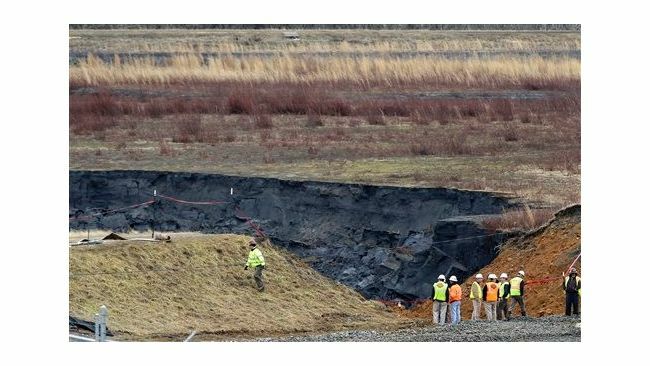 CHARLOTTE, N.C. - On site and on time -- thats the plan for storing millions of tons of coal ash from two North Carolina power plants. Duke Energy plans to submit permits to construct fully lined on-site landfills at the Dan River Steam Station in Eden, N.C., and the Sutton Plant in Wilmington, N.C. The landfills will be located on plant property and will provide a permanent storage solution for more than 6 million tons of coal ash at the two sites. The projects will also have contingency capacity for additional excavation at the sites, if needed. 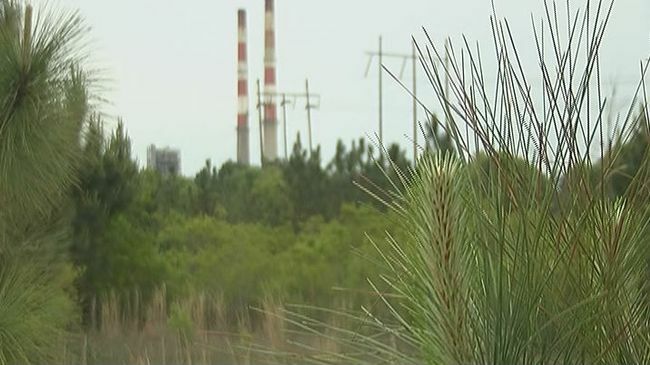 The proposed landfills are in addition to off-site solutions that Duke Energy submitted to regulators in November 2014 for more than 3 million tons of ash at the plants. 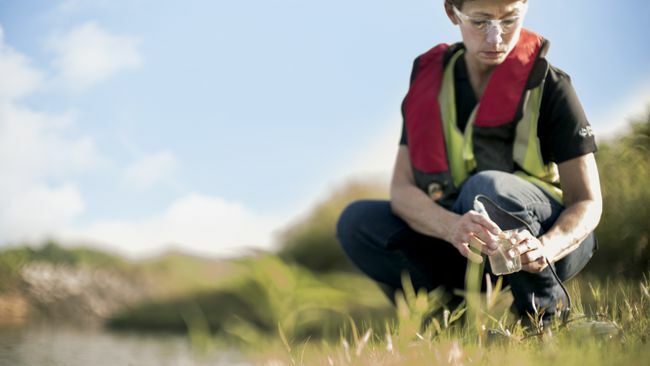 "This plan is a significant step forward in our strategy to close ash basins and manage coal ash across our service area," said John Elnitsky, Duke Energy senior vice president of ash basin strategy. "Our preference is to store coal ash at or near our plant sites, when possible. Siting these landfills on plant property minimizes impacts to the local community while maximizing the safe and efficient storage of coal ash at these locations."
Landfills at each site will feature multiple layers of synthetic and natural barriers. 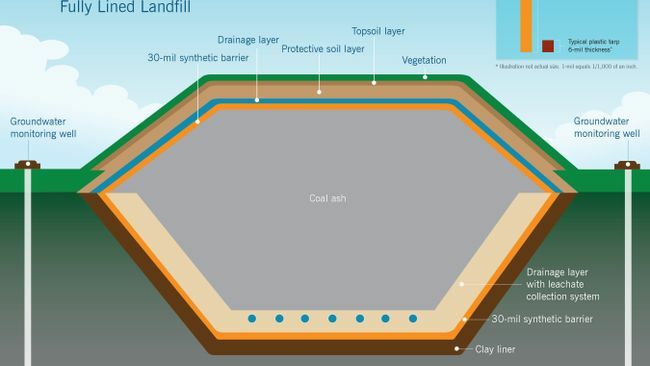 Coal ash will be stored dry in the landfills with additional layers of lining installed on top of the landfill -- effectively containing the ash and separating it from surrounding soil and groundwater. Extensive groundwater monitoring will ensure the landfills operate as designed and the local environment remains protected. "Our first priority is ensuring the safety of the public and our environment," said Elnitsky. "We're using a science-based plan, industry-proven technology and advanced engineering to site and construct these fully lined landfills. We will consolidate and contain coal ash at a greater distance from public waters and provide separation from surrounding soil and from groundwater. The excavation plans we have developed represent the best option for disposal of ash at these sites." Duke Energy evaluated multiple excavation and storage options over many months to ensure the safe management of ash for the future at these sites. 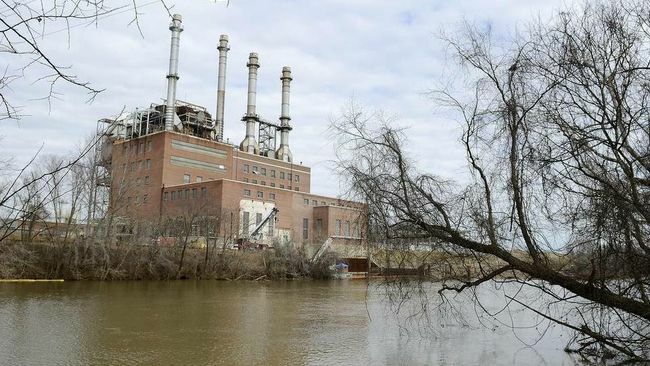 The Dan River Steam Station, which was retired in 2012, is one of four coal plants identified as high priority under the Coal Ash Management Act of 2014. Under the law, all ash in basins at the plant site must be fully excavated, with ash stored in a lined landfill or lined structural fill by August 2019. 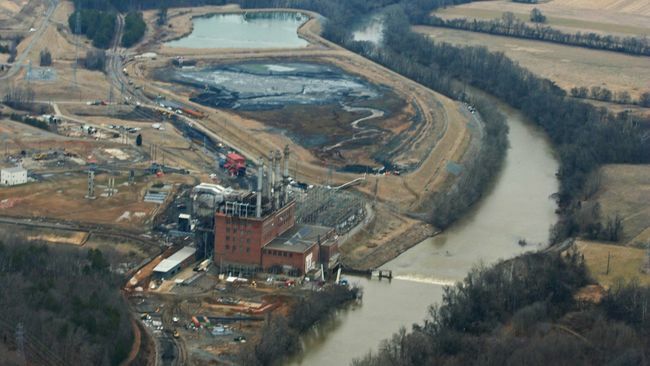 Approximately 2.6 million tons of coal ash are stored at the Dan River Steam Station. In November 2014, Duke Energy Carolinas announced it would transport approximately 1.2 million tons of Dan River Station coal ash primarily by rail to the Maplewood Landfill in Amelia County, Va. Transportation of ash is expected to begin later this year, while permitting and construction of the on-site landfill takes place at the Dan River Station. Work has already begun on property adjoining the plant to expand existing rail access to facilitate the first phase of ash transport. The decision to build an on-site landfill at the Dan River Steam Station is the result of months of surveys and engineering work at the plant, as well as ongoing discussions with local leaders, said Elnitsky. Design of the Dan River Station landfill is still underway, and additional detail will be available when permits for the project are submitted. The landfill construction will require multiple permits from the N.C. Department of Environment and Natural Resources (NC DENR), as well as local permitting. State permits will be submitted beginning this summer with construction of the landfill expected to begin in 2016, pending necessary regulatory approvals. Landfill operations are scheduled to commence in the first half of 2017. Sutton Plant ceased coal operations in 2013 when a new 625-megawatt natural gas combined cycle unit began operation at the site. The coal plant is currently being demolished, and the ash basins closed. Like Dan River Station, Sutton Plant is one of four identified high-priority sites at which Duke Energy will excavate coal ash. The Sutton Plant contains approximately 7.2 million tons of coal ash in basins and other storage areas. In November 2014, Duke Energy Progress announced that approximately 2 million tons of coal ash would be transported from the Sutton Plant by train to be used in a structural fill project at a clay mine in Chatham County. Those plans are expected to move ahead, pending receipt of state permits, with ash being delivered to the mine project as early as Fall 2015. As part of the landfill construction, crews will need to relocate a public access road to Sutton Lake. Access to the lake is expected to remain open to the public throughout construction. The first of the Sutton Plant landfill permits will be submitted to NC DENR in May, with construction of the landfill expected to begin in early 2016, pending necessary regulatory approvals. Landfill operations are scheduled to commence in late 2016. 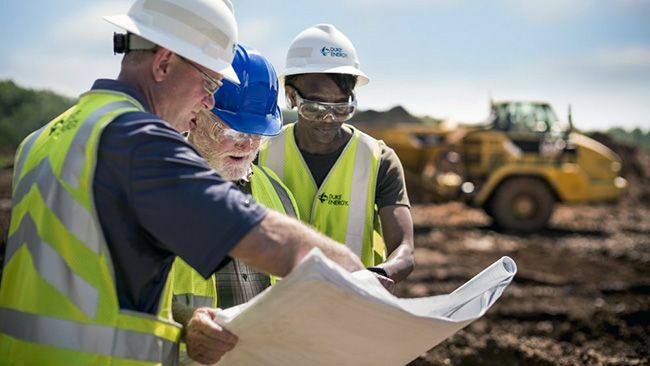 Duke Energy is planning community open houses in Eden and Wilmington to share information with plant neighbors and the public about excavation plans for each site, landfill design and ongoing activities to close ash basins at both plants. Additional information on Duke Energy's ash management strategy can be found at duke-energy.com/ash-management.